Autumn is the perfect time to get on with those jobs that you just didn’t get time to do over the summer. 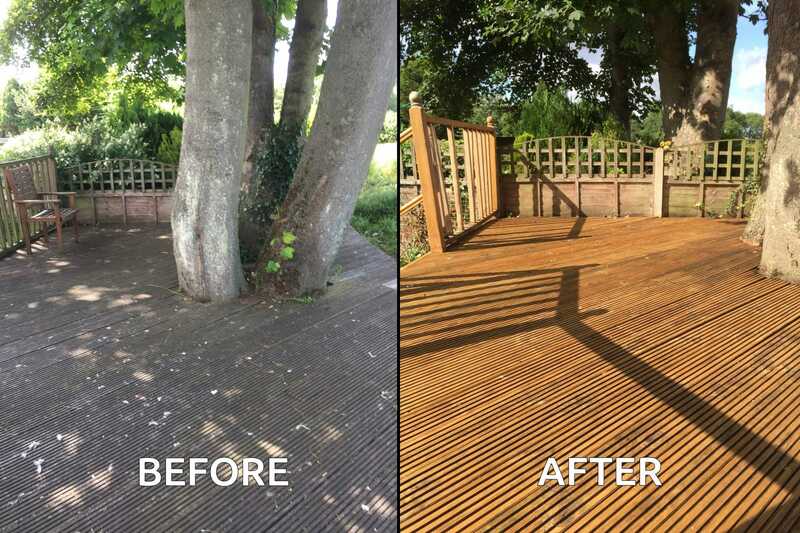 If your decking is looking a little bit worse for wear and needs some TLC, you may be able to take some inspiration from a customer who recently got in touch with us, to share how they’d used our products to transform their decking into something really stunning. 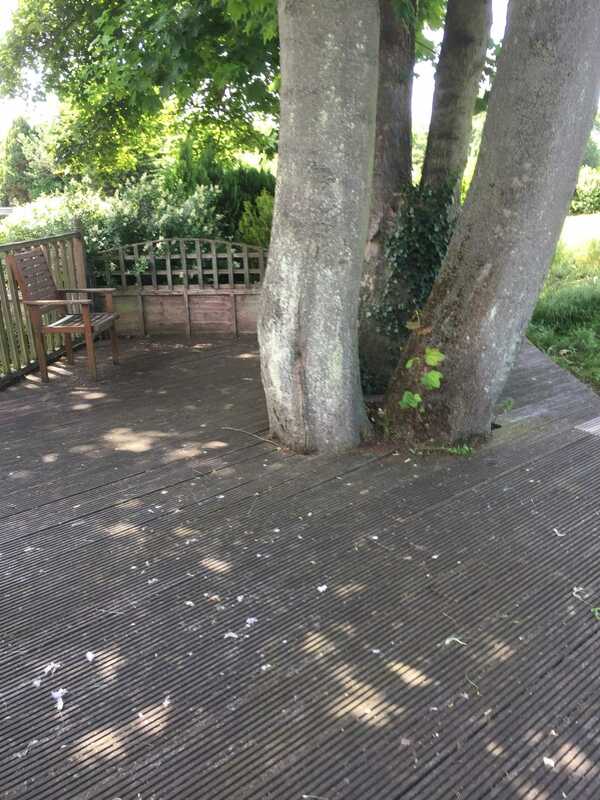 After cleaning their decking with bleach and removing any loose or flaking bits from the surface, our customer then used our professional stripper, Prepdeck to remove the old stain from their decking. Our customer applied Prepdeck in small areas that he could complete in 15-30 minutes, then, after leaving it to do its magic, used a stiff nylon brush to ‘lift’ the stain from the wood, ensuring that they worked in the direction of the grain. They then thoroughly rinsed the product off the decking using a garden hose – again, working in the direction of the grain. If you want to make this part of the job a little easier, you could opt for hot water instead. This is a great product, as it can also be diluted to make a powerful cleaner for weathered woods and can even be used on thermo (burnt) wood. 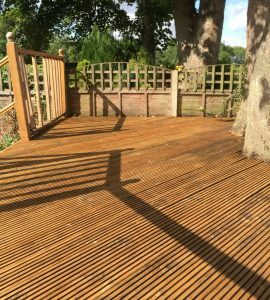 Our customer then used our wood cleaner and neutralizer Net-trol to the surface of the decking, in preparation for the finish. After applying Net-Trol to the wet decking, they scrubbed the surface with a brush. They then left it to stand for around 15 minutes, keeping an eye on it to ensure that the surface of the decking didn’t dry. If it had begun to dry, he would have had to dampen it with a mist of water. They then scrubbed the decking again, this time whilst rinsing it. Now, it was just a matter of leaving the wood to dry for 48 hours before applying the finish. This customer opted for Aquadecks, our water-based penetrating finish. One of the great things about this product is that not only does it protect the wood from warping, splitting, cracking and UV damage, it is also easy to apply and maintain, as our highly penetrative formula guarantees there will be no peeling or flaking. Plus, it dries quickly and has a low odor, so you can be back on your decking with a glass of wine in hand, in no time at all. 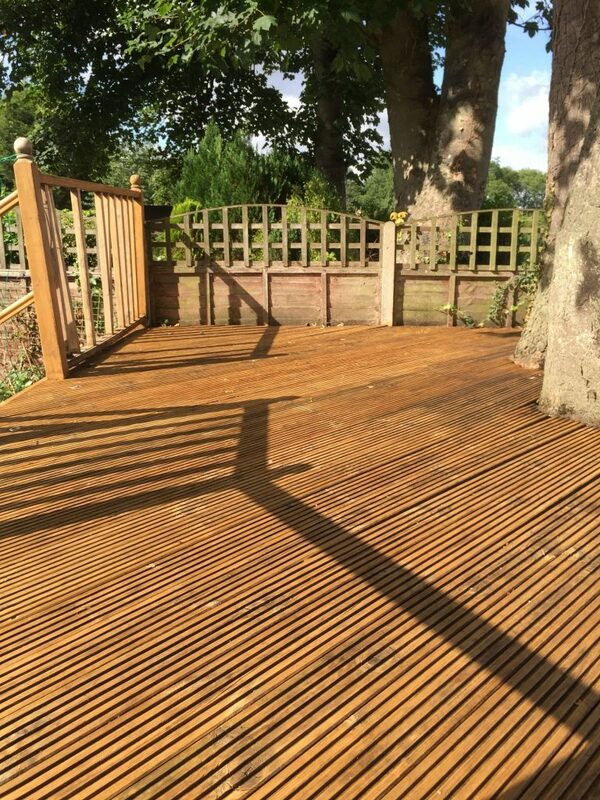 Our customer applied an initial coat of Aquadecks and allowed it to penetrate into the wood. Then, after around 15-20 minutes (when the ‘wet look’ of the first application had disappeared), they applied a second application and allowed this to penetrate. After a further 15 minutes, they brushed out any puddles so that the decking wouldn’t dry with shiny spots on the surface – Aquadeck’s place is in the wood, not on top of it! This customer was so delighted with our products, they got in touch to tell us how well everything had gone. “On advice gratefully received from Ken, I had several stages to complete. It’s looking great and I am hopeful the results will last”, he continued. We love to hear from customers who have used our products for their projects. If you’ve recently completed a project that you’d like to share to help others, get in touch!